Left Hand Red, Right Foot Green, Uh Oh! Left hand red, right hand yellow! The classic twister game just like you remembered as a kid. 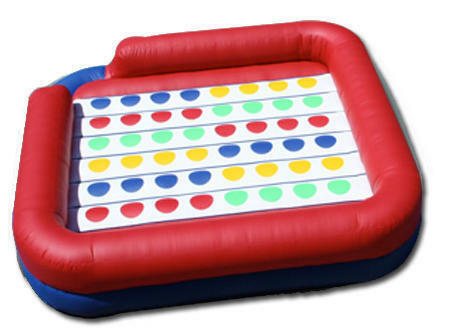 Now it's here in giant size on a fun bouncy inflatable.